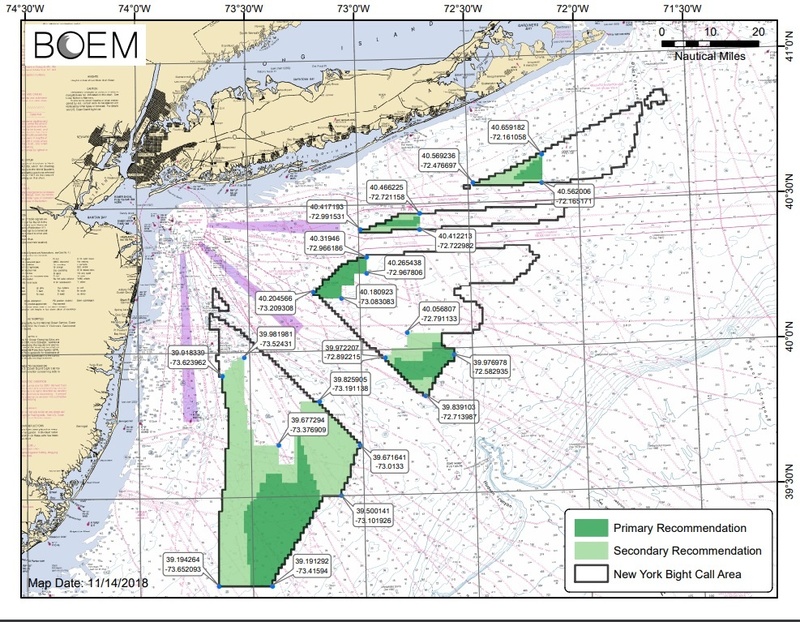 The Bureau of Ocean Energy Management (BOEM) will hold the New York Bight Task Force Meeting in New York City this November 28, 2018, where the recently published Call for Information and Nominations (Call) for potential offshore wind energy leasing and development in the New York Bight will be discussed. Offshore wind are definitively taking off in the US as proved for instance with the New York Bight Call for four new development areas. These areas include 222 whole Outer Continental Shelf blocks and 172 partial blocks and approximately approximately 2,047 square nautical miles (nmi) (702,192 hectares). Are you curious to know what the wind conditions are like in these areas? You are welcome to download some sample of our time series products for any location in the 4 areas that BOEM has offered for leasing . You just need to register in Vortex Interface and request a sample series for any location there (or elsewhere).